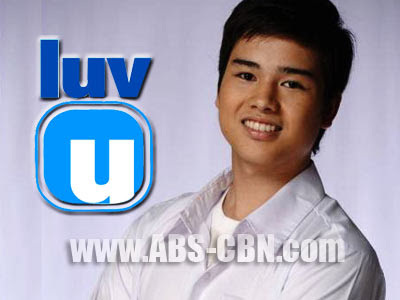 Marco Gumabao of ‘LUV U’ is Another Promising Face in Showbiz! The hit Sunday afternoon youth-oriented show "LUV U" produces a new heartthrob! He is no other than Marco Gumabao better known as JB in the said show. Marco revealed that he noticed some changes after being formally welcomed to showbiz. Marco feels overwhelmed with the attention he is getting now and is also thankful for the support of the fans. An incoming AB Psychology major at the De La Salle, he really wanted to play professional basketball but instead found himself in the limelight. But amidst this fame and luck, he never thought of quitting his studies. “I am excited for my first day of classes as a college student. Hope that I can cope with my schedules and taping,” he added. Meanwhile in “LUV U”, JB’s memory will come back and will be persistent to pursue Camille (Miles Ocampo). But the latter underwent five stages of grief after she saw Honey (Arie Reyes) kissing JB. Will there still be a chance for them?